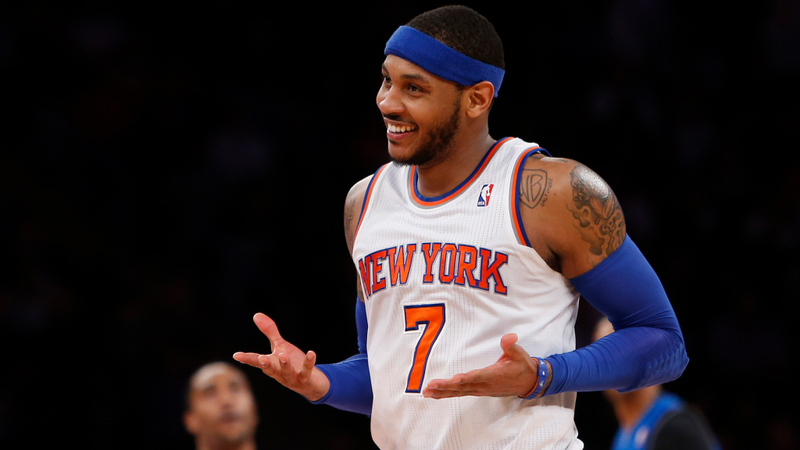 Carmelo Anthony wants a Championship ring, and his time is running out. The 10-time All-Star was bought out recently by the Atlanta Hawks and is prepared to sign a short-term, low-money contract with the Houston Rockets in an attempt to earn one. The 34-year-old Melo will be playing in his 16th NBA season, and despite being part of three teams (Nuggets, Knicks, Thunder), he has never won a Championship. Projections are mixed as to whether he will help Houston's trophy race or hinder it. One analysis can be found in the tweet below, and it isn't flattering to Anthony or his role with the Rockets. The Rockets went to the Western Conference Finals last season and were upended by the Warriors. Melo will be back with Coach Mike D'Dantoni with whom he clashed when both were with the Knicks. My guess is that Carmelo will see how things go in Houston and decide his next step at the end of this upcoming season. Feel free to visit the Twitter poll below to give your thoughts on Melo-to-Houston.